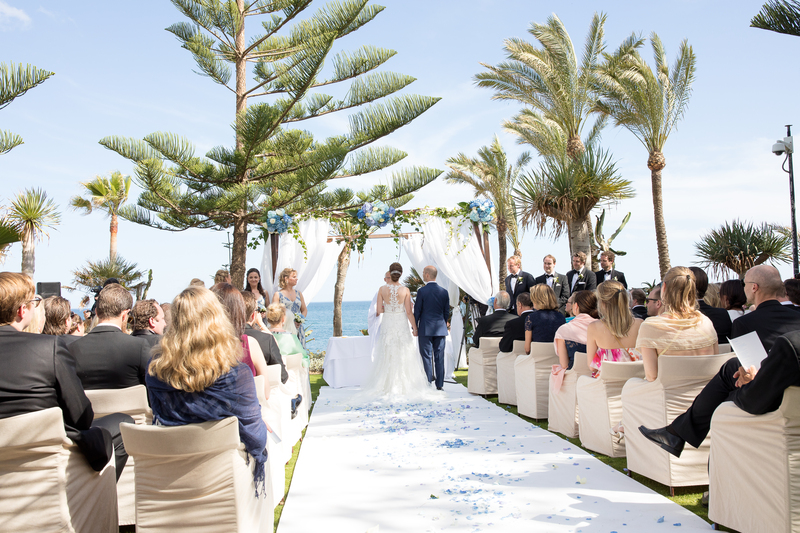 Jennie and Johan from Sweden enjoyed a three-day beach wedding in Estepona Spain. Jennie’s family have a stunning villa in Estepona, where her family spend six months of the year. A home from home for the couple, they decided to take advantage of the weather and hold their wedding celebration here on the Coast. After meeting Scott for an initial chat, the Sunshine Weddings Spain team took the couple to view various possible locations. Initially Finca Cortesin was top of the list; however it was actually a five-star hotel located on Estepona’s beach front which won the couple over. With a subtle blend of modern elegance and traditional Andalusian style, the hotel offered sophisticated luxury in an ideal setting. The Sierra Bermeja Mountains form a dramatic backdrop to the crystal blue waters of the Mediterranean and the idyllic beach borders the beautiful foliage and lush vegetation of the hotel gardens. The venue enjoys an oasis-like quality that effortlessly welcomes and relaxes its guests. 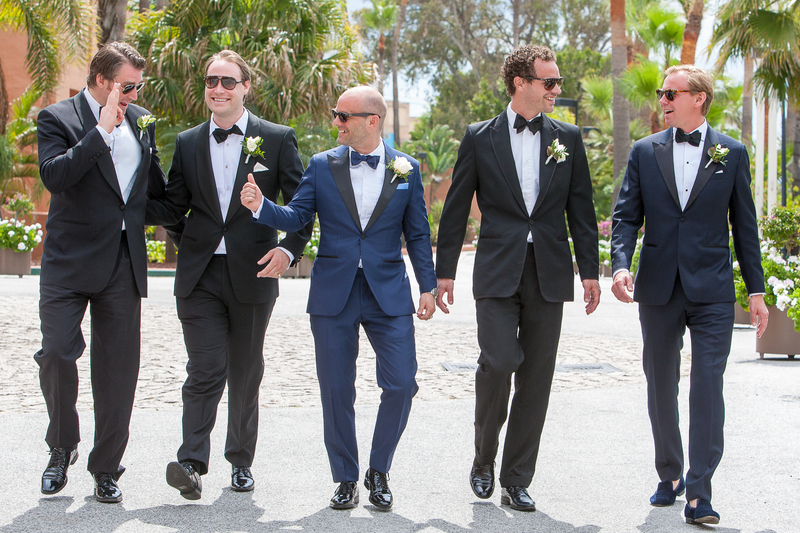 Sunshine Weddings Spain worked closely with the couple to plan multiple activities and celebrations over the three days. We had a slight hiccup with the weather and a freak rainstorm meant we had to improvise. Luckily all the guests were up for it and loved everything we organised for them. Beach and adventure activities were arranged to help the guests get to know each other and the team building exercises allowed everyone to bond quickly. 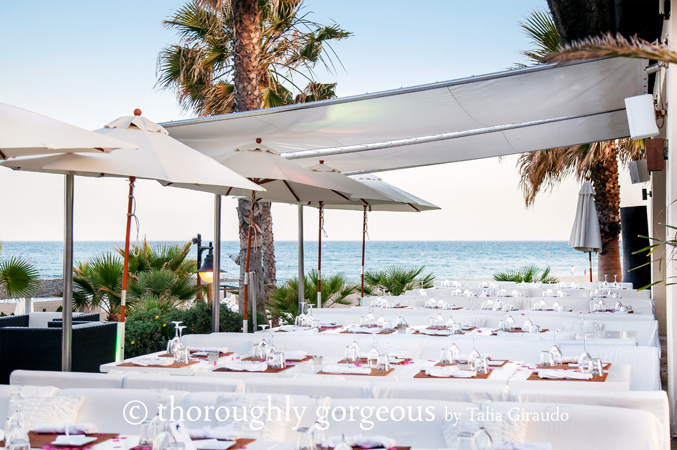 On the Friday guests were led down to the beach with a Mariachi band, which got everyone in the mood to enjoy some mouthwatering Spanish cuisine at a beach chiringuito. Entertainment was provided by a live saxophonist, who soon upped the tempo when he was joined by our DJ. It wasn’t long before everyone was up dancing. With the drink flowing, good music and a great atmosphere, we ended up having to drag the guests back to the coaches so we could get them home on time. In Part Two we find out if the sun came out on Jennie and Johan’s big day.